Timmy and I are so excited to announce that we are adopting again. 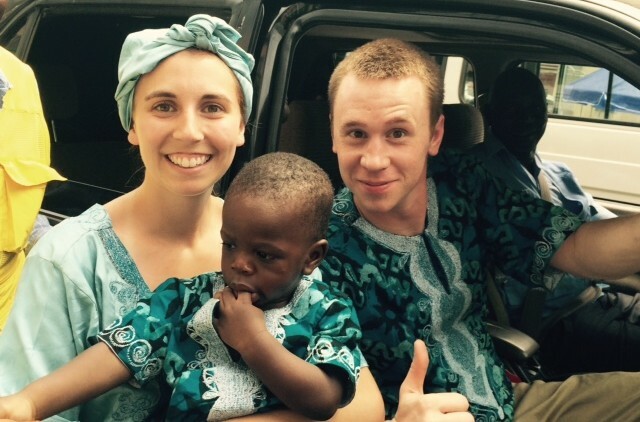 As you know we finalized Elijah's adoption this past May in Sierra Leone and we are beyond thrilled to explain to you more about this next adoption process we are in. Although we are not making this public to everyone, we wanted our close friends and family to be up to date on what is happening in our family. We first heard about Nightlight Christian Adoptions "Snowflake Baby" program through email. This is where familys who have gone through IVF have leftover frozen embryos in which they donate to adopting families such as us. We are just about to enter the match phase where we will match with a genetic family, from there after some legalities we will travel to the clinic and have the embryo transfer performed in hopes of achieving pregnancy!!! Never in a million years did we think it would be possible to adopt and be pregnant at the same time! Saving these sweet babies from being frozen in time and giving them a chance at the life God intends for them is near and dear to our hearts and anything that you can do in order to help us on this next adoption journey is greatly appreciated! Our agency fees and home study fees among other charges will be although considerably less than an international adoption, upwards near $12,000.00. Raising the amount on this website will make it that much more feasible for us to successfully complete this adoption. We are excited to experience pregnancy, birth, a newborn, and give elijah a sibling(s)!!! We love you all, and will keep you updated as things continue to progress! WOW! is all we have to say... God has showed up BIG the past couple of days so hold on as you read this update. 1. We were active in matching for all of 18 hours before we were presented with a possible match! 3. What normally takes a few weeks to hear back from the clinic where embryos are, took 12 hours! 4. We are preparing for a quick 36 hours away (flying to clinic) to have new patient appointment. Yay! We are excited to announce that we are officially in the MATCH stage of this adoption journey! Please help us as fees are starting to add up and we are as of now un able to cover any more costs up front on our own. We greatly appreciate anything anyone can do to help whether it be prayer or a donation. We are so excited!